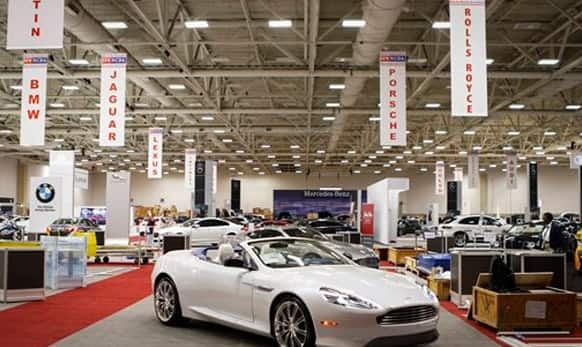 An Aston Martin Q DB9 Volante convertible priced at $257,551 is on display at the 2015 DFW Auto Show. 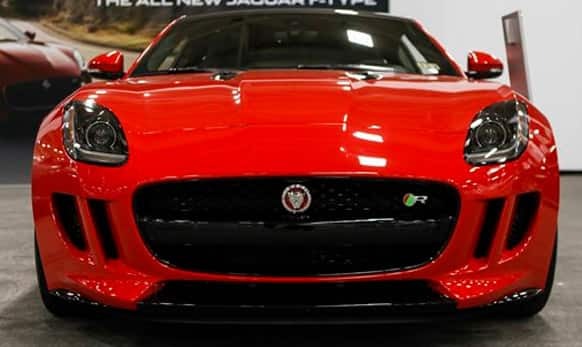 A Jaguar F-Type S Convertible listed at $81,000 is on display in the High End section of the 2015 DFW Auto Show. 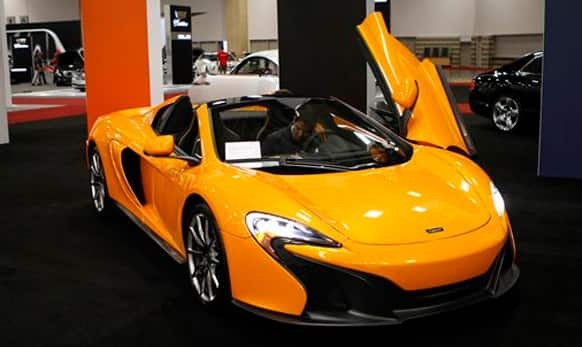 Isaac Villarreal parks a McLaren MSO 650S, which is priced starting at $280,225, in the High End section of the 2015 DFW Auto Show. 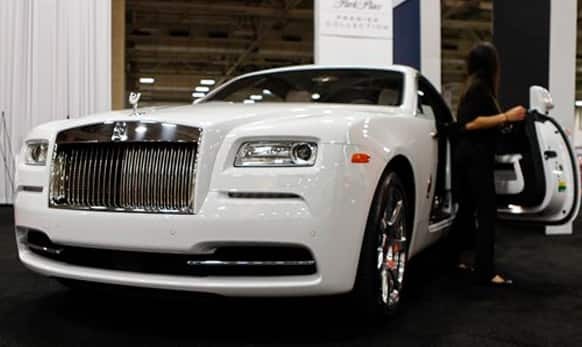 Amanda Tovar steps out of a Rolls Royce Wraith listed at $379,376, at the 2015 DFW Auto Show. 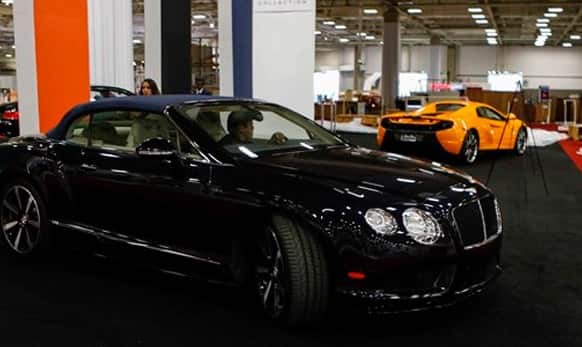 Alfredo Felipe of Park Place Premier Collection adjusts the display placement of a Bentley Continental GT V8 Convertible listed at $247,100. 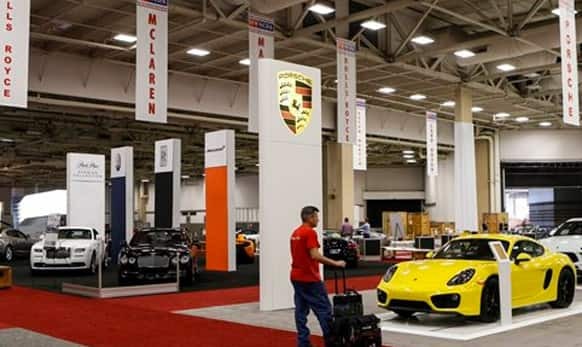 Shawn Burch of Czarnowski Exhibit & Event Marketing looks at a Porsche Cayman displayed in the High End section of the 2015 DFW Auto Show.